Billy the kid came to play. The cat amongst the furry pigeons so to speak. 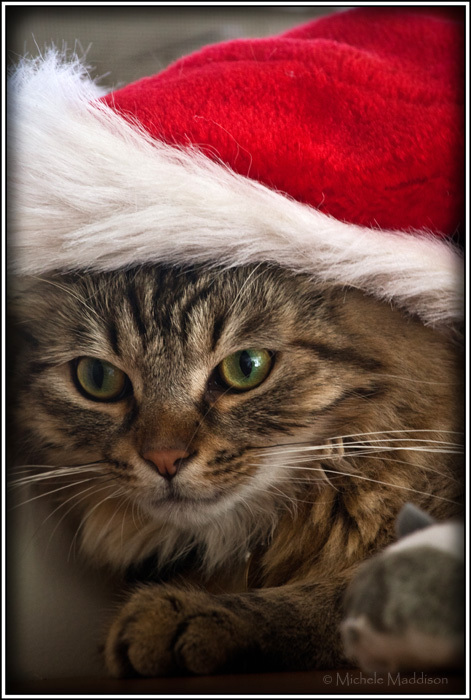 Well, we had to have at least one cat in our 12 days of furry friends Christmas. Billy is only 18 months old. When he is fully grown, will be way bigger than Phoenix. He is getting ready to move house, with mum and dad of course. So whilst the tinsel wasn't his cup of tea today. Mouse and Santa hat came to join in the Christmas adventure with Billy. Very gorgeous boy.